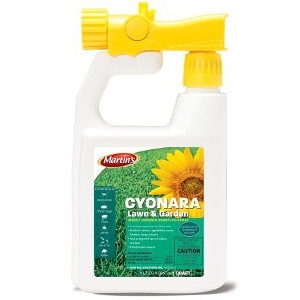 Cyonara Lawn & Garden Ready-to-Spray is a low-odor, broad-spectrum 0.5% Lambda-Cyhalothrin product that controls a wide variety of insects and kills over 130 insect pests on contact. Easy-to-use sprayer covers lawns up to 16,000 sq. ft.